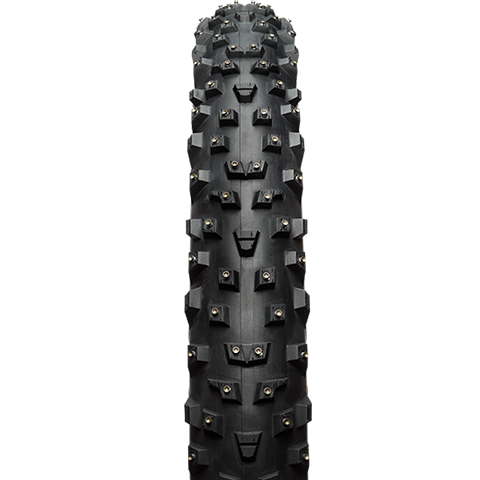 Studded bike tires provide the traction and control a regular tire just can't provide when it comes to riding in icy conditions. 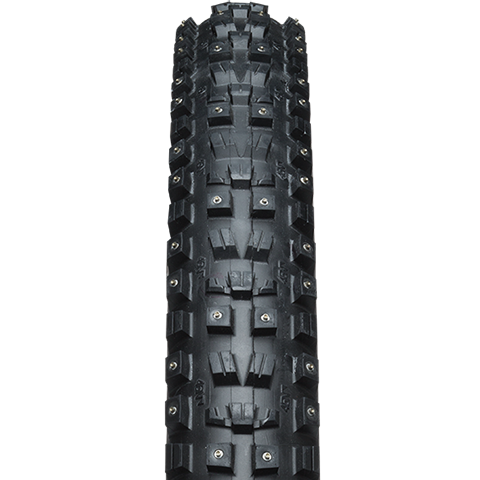 From frozen lakes to icy road or trail conditions, our line of studded tires are designed to perform in the most challenging conditions. 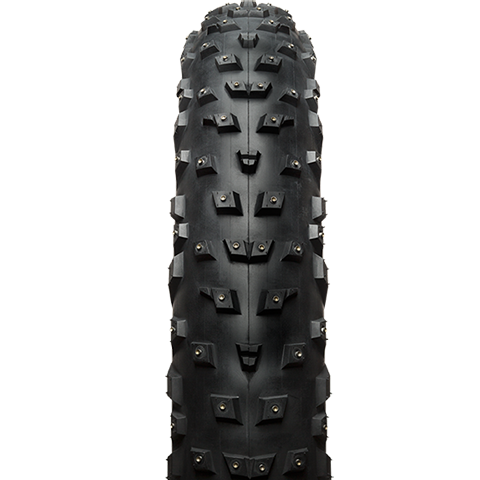 • Concave Studs: This style gives a sharp edge around the circumference of the stud, which provides grip from any angle - turning, braking or accelerating. • Carbide-Aluminum Studs: This stud is one part aluminum at the base and one part carbide tip. 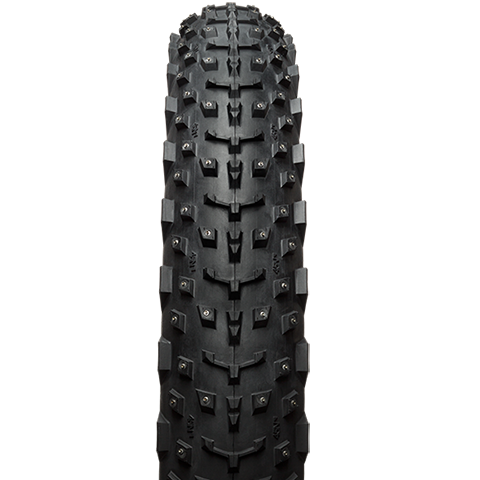 Aluminum keeps weight down on the portion of the stud that’s protected by the stud pocket in the tire while the carbide tip offers superior durability where it matters most - at the point of contact. • Steel Carbide Studs: This stud looks similar to the carbide-aluminum, but the stud features a dome-shaped tip. 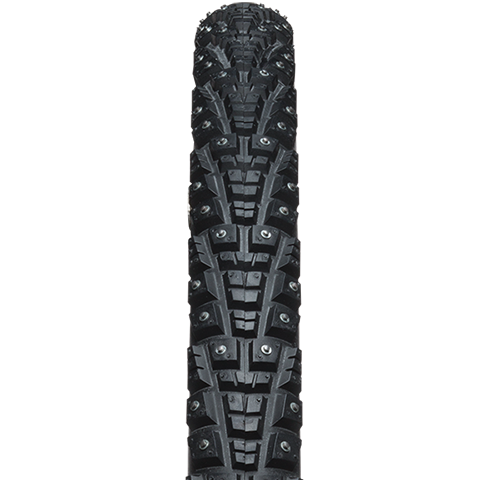 It’s more economical and still provides excellent traction in icy conditions. 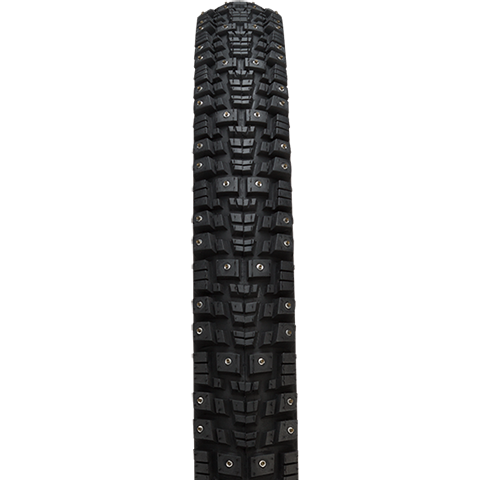 You can learn more about our studs and other tire features by going to our technology page. 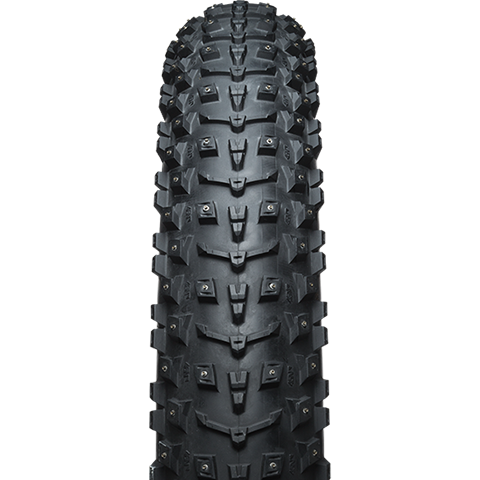 45NRTH offers 8 different styles of studded bike tires. 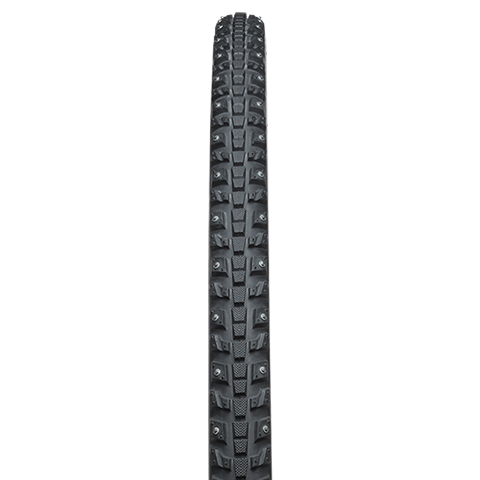 Click the tire below to learn more about each tire.